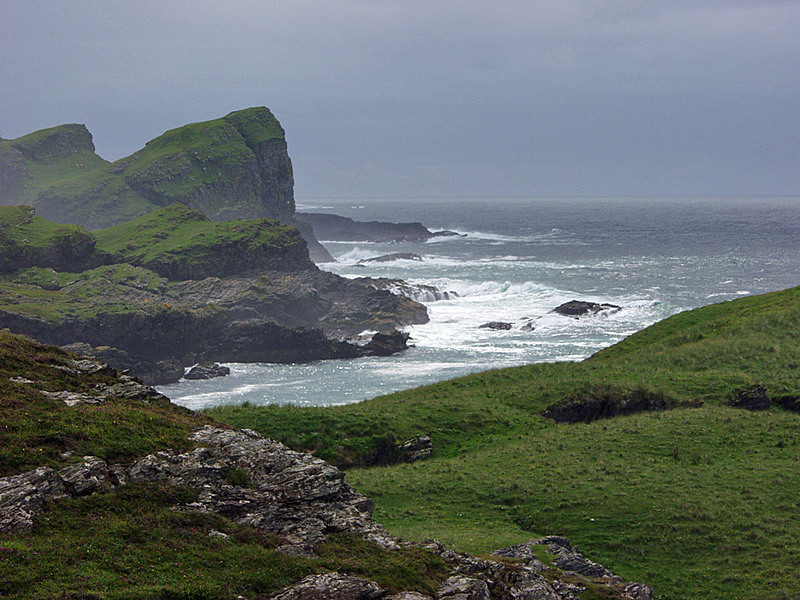 A view in the north west of Islay on a bright and sunny June afternoon. Traigh Bhan on the left, a small beach but very beautiful and always empty (as it is quite remote). Eilean Mor just right of centre with Eilean Dubh hiding behind it. Carraig nam Fear on the right. A memory from a nice Islay walk in June 2013 courtesy of my sister Imke. 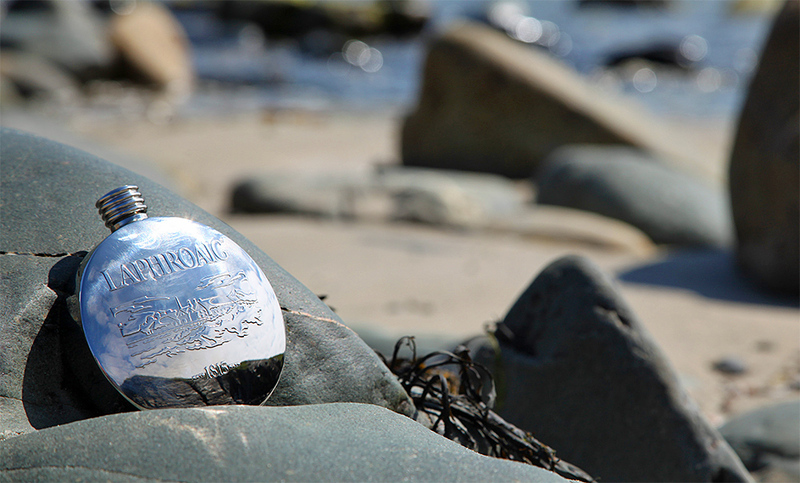 My then new Laphroaig hip flask on a rock at Traigh Bhan north of Saligo. There’s also a picture of me enjoying a taste of the Laphroaig 18yo which was in said flask.